Sometimes twins are not your first children. 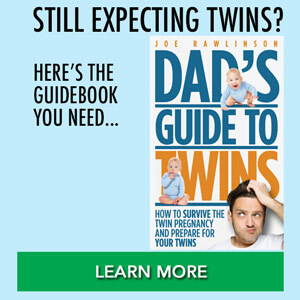 You need to prepare your older children for the arrival of their twin siblings. My wife and I had two sons before our twin girls arrived. At the time our twins were born, the boys were 3 and almost 2 years old respectively. I knew that life would be different once the girls were born but I didn’t really understand how that would impact their brothers. Get your other kids involved with the preparation for and excitement of your twins’ arrival. We started telling our boys that Mommy was expecting early on in the pregnancy. As soon as we knew the twins were girls, we started to refer to them as sisters to the boys. Towards the end of the pregnancy, we had decided on names and started calling the unborn twins by those names. Our boys knew the names and started referring to the babies by name, too. They completely understood that Mommy was going to have two babies. 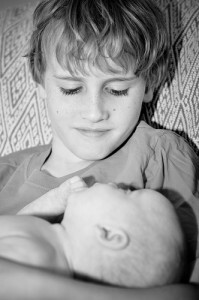 We talked a lot with our boys about what would happen when the babies were born. We outlined who would come and take care of them and that Mommy and Daddy would be in the hospital for a few days. We even did role playing with our boys. We practiced together how to hold a baby doll, how to be gentle with a baby, and taught them what it meant when a baby was crying. We showed them where the diapers and blankets and burp cloths were, and had them practice finding the diapers and bringing them to Mommy when she asked so they’d be ready to help. You will need to have plans in place for someone to come and take care of your children. These plans should include short-term and long-term plans. My wife was on bed rest during the later stages of the pregnancy so we had to bring in help well before delivery. At first, our boys were reluctant to have someone come over. Over time, they warmed up to our friends and got used to having helpers with them and at our house. This was vital in setting the stage for post-delivery. When your wife goes into labor, you need to have a short list of people you can call who will immediately come over and stay with your current children. It is vital that these people are those your kids know and trust. That means that they should already be interacting with your kids leading up to delivery. Once the babies arrive, you will need to switch over to longer-term help. You will need someone that can stay with you, and if not that, at least come and help you everyday. This person may very well simply take care of your other children while you and your wife care for the twins. Or alternatively, you can spend one-on-one time with your older children while your helper cares for a baby. We had individual family members and friends come and stay with us over the course of the first two months after our twins were born. This was one of the best decisions we ever made. It not only helped us survive but allowed our older kids to get some attention as well, both from us and from others. 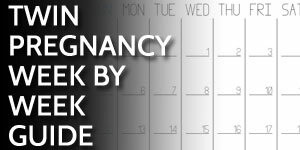 By keeping your older children as involved as possible during the twin pregnancy, the transition to a suddenly larger family will be that much easier. The younger your older children are, the less likely they will fully understand what is about to happen. Hey, you don’t even fully understand what twins will mean until they arrive. So err on the side of too many preparations and your mind can be put more at ease. Here’s what to do with your older children after the twins are born.